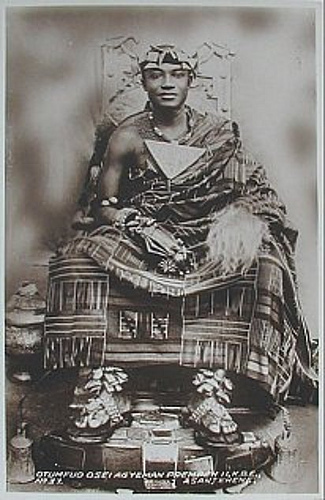 Department of Center for Culture and African Studies at the Kwame Nkrumah University of Science and Technology (KNUST) is partnering the European Union (EU) and Economic Community of West African States (ECOWAS) to produce a video documentary on the life of the late Asantehene Otumfuo Agyeman Prempeh I. 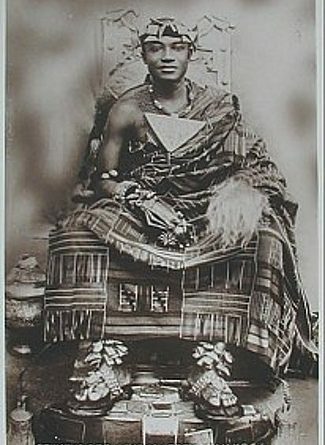 The hallowed King ruled in the then Asante state between 1888 and died in 1939 in exile in Seychelles. He is credited for fighting the War of the Golden Stool against the British in 1893. The documentary is expected to feature renowned African movie artistes selected from Ghana, Nigeria, Sierra Leone and Gambia. The production of this must watch video documentary forms part of EU and ECOWAS’ commitment towards promoting African histories and culture thereby focusing on the rich story of the late Asantehene Otumfuo Agyeman Prempeh I. The production is also expected to re-energize African movie industry to compete with other continents in the form of storytelling. The project is under the topic ‘facilitation the growth and development of the art and culture sector EU and ECOWAS partnership agreement which is at the second year stage’. Speaking to ghnewsnow.now Kumasi desk, Isaac Bediako, the Head of Center for Culture and African Studies Department at KNUST Anthony Aidoo, explained that the movie comes on the back of the film industry which is growing in some African countries. ‘We are the lead partner (Ghana), and we have other partners like Nigeria, Gambia and Sierra Leone, we will be moving to all these countries, what we have realized it that the film industry has picked up in some of them but other places are down, we have come up with an idea to shoot a common film,’ he added. According to him, each of the selected countries is expected to contribute human resource and equipment which is required for the project. ‘We have signed Memorandum of Understanding (MOU), some of the countries will provide gadgets, producers, directors, artistes, we are using all people and materials across the countries, nobody will be left unattended, we will bring all the good actors and actresses together to shoot this movie,’ he indicated. Meanwhile, the Manhyia Palace is yet to receive official briefing on the upcoming project. ‘We intend going to seek the permission from Manhyia after gathering historical documents,’ he said.